On November 5 we have our municipal election. If you forgot the location of your polling place, please visit The Office of the Philadelphia City Commissioners at www.philadelphiavotes.com. 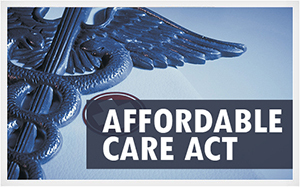 Take advantage of the Affordable Care Act. As always, I’m here to help so feel free to call my district office at 215-952-3121, e-mail me at farnese@pasenate.com or visit 1802 S. Broad St., Monday through Friday, 9 a.m. to 5 p.m. Applications will be available once the program opens at www.compass.state.pa.us and in my district office which is located at 1802 S. Broad St., Monday through Friday, 9 a.m. to 5 p.m. The Philadelphia Gas Works’ (PGW) new EnergySense rebate program can help you save money on your energy bill. The $150 professional home assessment will identify ventilation and insulation problems, reduce moisture, control pests and highlight faulty energy equipment that should be replaced. After the assessment, PGW customers can choose to move forward with the recommended work and take advantage of $3,500 in rebates and third‐party financing. The City of Philadelphia’s Department of Revenue has started a new program to help homeowners with their past due and delinquent real estate taxes by allowing them to make monthly payments. For more information and to apply for the program, homeowners can call 215-686-6442, visit www.phila.gov/revenue or stop by the Department of Revenue at 1401 JFK Blvd. in the Municipal Services Building. Despite having some trouble with their website (and I encourage you to be patient until the federal government gets things worked out), you can now apply for health insurance under the Affordable Care Act. The full federal program goes into effect on January 1, so visit www.healthcare.gov or call 1-888-475-6186 to find the right plan for you and your family.